do you have a ton of makeup, but don't know exactly what to do with it or how to apply it? is it still difficult to apply eyeliner? is it hard to do your eye makeup even though there is a guide on the PALETTE? In my hands-on makeup class, you will learn about the importance of cleaning your brushes and what tools to use for specific products. We will also identify what products are best for your skin type/condition. The objective is to learn how to apply your makeup and receive tips on how to create a minimal glam look or a gorgeous beat with a group of other women! Do you have oily skin after you put your makeup on? Is it still difficult to apply your lashes after watching YOU TUBE university? is your highlight and contour not blending well? 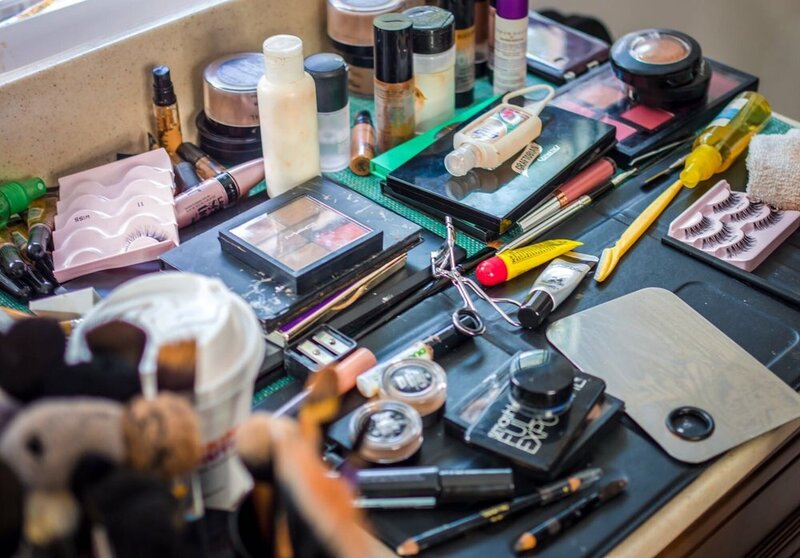 A personal makeup lesson may just be the thing for you! I will break down the products that you currently possess while maximizing the use of each product during the application portion of the class. We will put aside any expired cosmetics you may have, and I will provide you with a list of things that you can add to your makeup bag for the future. We will create the look that you desire. You will also walk away with a gorgeous glam swag bag! !